Luxury Sedan or Luxury SUV: What’s Better for Terrytown, LA, Drivers? If you are shopping for a new car in Terrytown, LA, you may be wondering whether you should purchase a luxury sedan or a luxury SUV. Both are great options that can offer drivers a lot. But different drivers need different things from their vehicles. Take a look at the pros and cons of each of your options, so you can make the best decision possible. Then, you will be all ready to head to your local dealership to pick out the luxury car of your dreams. A luxury sedan offers all the comfort you could want from a vehicle. And since these are smaller cars, you can usually get better fuel efficiency, which makes you gas money stretch further. Plus, their smaller size makes them easier to fit into even the tightest parking spots, which can be helpful when you’re visiting a busy area of the city. If you need more room for your family, cargo, luggage, or anything else, then a sedan may not be your best option. It doesn’t have a ton of extra space for these types of things, so if you need that, you may want to consider an SUV instead. A luxury sedan is also less likely to be able to go off-road, so if you want a vehicle to take adventures in, this may not be your best choice. SUVs are great because they offer you so much space. Families in Terrytown, LA, with kids will see this as a huge advantage, as everyone can comfortably fit in the back seats. Plus, if you go on road trips often, having that extra space will ensure that you can easily carry all the luggage you need. Since SUVs are on the larger side, they require more gas. You may have to spend more money and time at the gas pump in Terrytown, LA, if you go with an SUV. They are also more difficult to park because of their size. You now know a little bit about both of these options, which makes it more likely that you will make the best decision for your everyday needs. 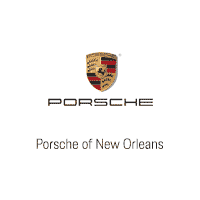 When you’re looking for the best dealership in Terrytown, LA, to purchase your vehicle from, come to Ray Brandt Porsche. 0 comment(s) so far on Luxury Sedan or Luxury SUV: What’s Better for Terrytown, LA, Drivers?